Our Flower Friday pick this week is AMARANTHUS, which might seem funny because it doesn’t look like your typical flower at all. 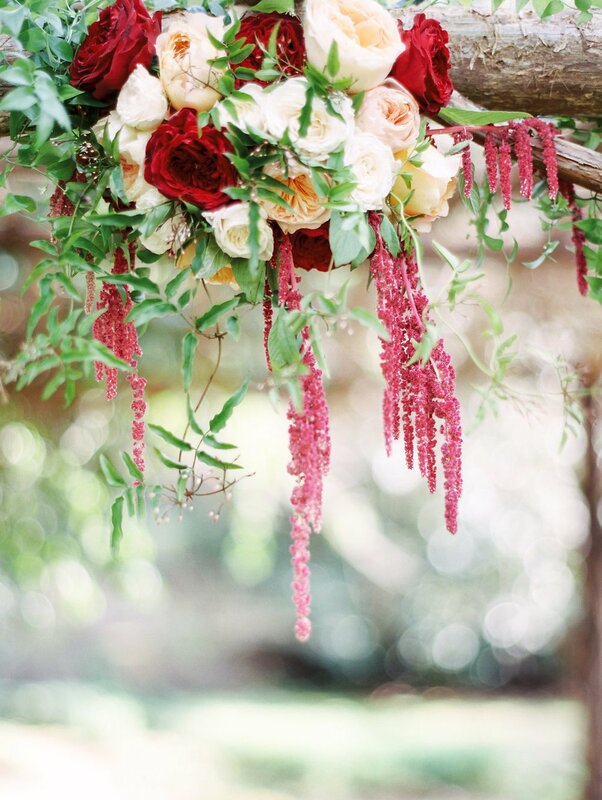 We love this floral accent for its quirky ways, it can be long and dripping or upright branching stems. It comes in shades of green and deep red, fitting a fresh and spring time look or your moody fall color palettes. 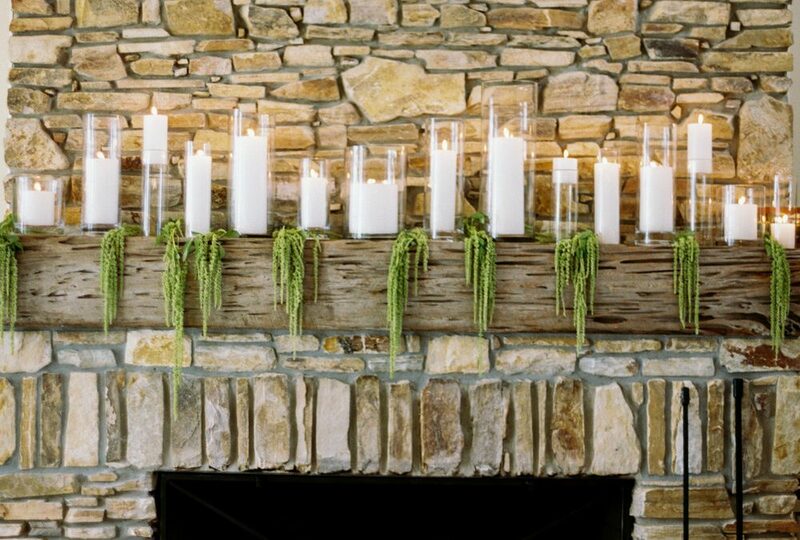 While the fireplace candlescape above might have been romantic on its own we think adding a touch of dripping amaranthus to it put a playful twist on the space, and tied the inside decor of this home wedding to the outdoor floral arrangements in our ceremony and reception spaces. The florals below from our Birth of Venus Inspiration Shoot (check out the full shoot in our portfolio), were attached to an existing arbor for our ceremony sight. 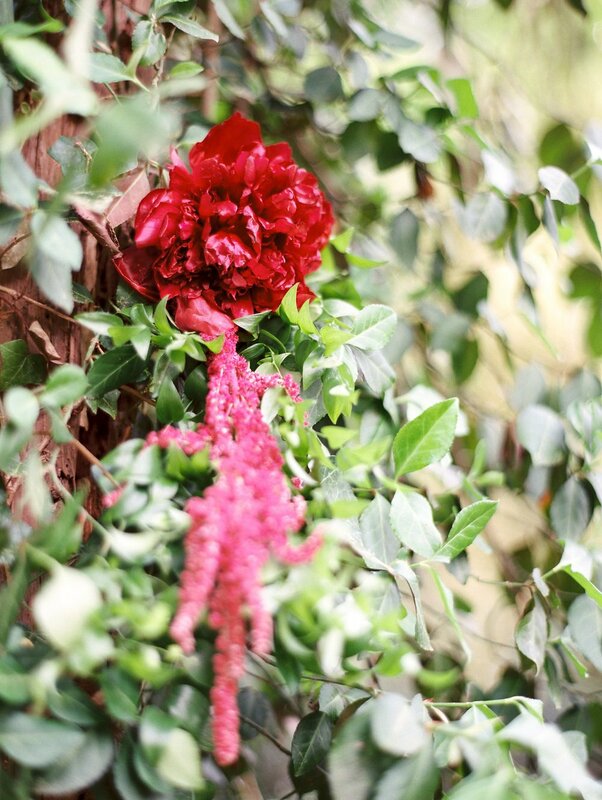 Draping the amaranthus, gave the installation dimension and added a textural touch that made the florals stand out more and have a more natural look.